Promoting the efficient and equitable dissemination of research information, along with new forms of digital scholarship, has never been more urgent. 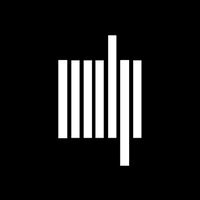 The MIT Press has long been a leader in open access book publishing for two decades, beginning in 1995 with the publication of William Mitchell's City of Bits, which appeared simultaneously in print and in a dynamic, open web edition. We support a variety of open access funding models for select books, including monographs, trade books, and textbooks. More recently, the MIT Press and the MIT Media Lab have launched a joint initiative to transform research publishing by developing and deploying open source publishing technologies in the service of open access scholarship. In the context of ongoing changes in the mechanics and economics of scholarly publishing, the Knowledge Futures Group will invent and launch innovative products and services. PubPub, an open authoring and publishing platform on which BookBook is hosted, is one of these products. PubPub socializes the process of knowledge creation by integrating conversation, annotation, and versioning into short- and long-form digital publication. Other MIT Press projects on PubPub include Frankenbook, an interactive edition of Frankenstein: Annotated for Scientists, Engineers, and Creators of All Kinds (MIT Press, 2017) and the Journal of Design and Science (JoDS), which forges new connections between science and design and breaks down the barriers between traditional academic disciplines. All MIT Press subscription journals support author-paid open access (the “hybrid” model). Including three Gold OA journals launching this year, the Press publishes several completely open access journals: Computational Linguistics, Asian Development Review, Open Mind: Discoveries in Cognitive Science, Computational Psychiatry, and Network Neuroscience. The MIT Press journals division also has a long-standing commitment to open access. Click here for a complete list of our OA book titles. “Free” is still a rare practice in academic book publishing, and the MIT Press, with its strong public service orientation, is a leader in thinking about and experimenting with the commercial feasibility of various approaches to open access. —Eric von Hippel, T. Wilson Professor of Technological Innovation at the MIT Sloan School of Management, in his book Free Innovation. Donate to the MIT Press to support open access publishing.